Simon Dudley, the leader of the Royal Borough of Windsor and Maidenhead, wrote to the local police chief. 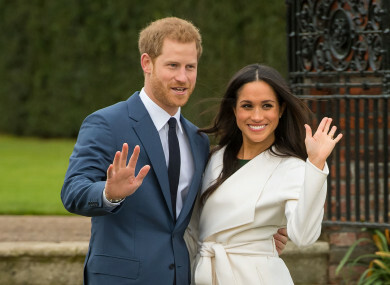 THE LEADER OF the local authority covering Windsor Castle has called for police action against “aggressive begging” ahead of Prince Harry’s wedding there in May. Simon Dudley, the leader of the Royal Borough of Windsor and Maidenhead, wrote to the local police chief to warn that the beggars’ possessions, sometimes left unattended on the streets, presented a security risk. Harry is due to marry American actress Meghan Markle on 19 May at St George’s Chapel in Windsor Castle, one of the residences of his grandmother Queen Elizabeth II. I write to set out my concerns regarding the policing response to anti-social behaviour, including aggressive begging and intimidation in Windsor. He said that “bags and detritus that those begging are accumulating and leaving on our pavements, at times unattended” presented a security risk, and had raised concern among residents, businesses and visitors. Obviously, the level of tourist interest is set to multiply with the royal wedding in May 2018, and there are increased concerns from our residents about their safety. Dudley said that council powers to address the issue would “take considerable time, extending well beyond the royal wedding”, and urged the police to act instead. “I request that you give immediate attention to the issues facing Windsor, and ensure all necessary financial and human resources necessary to protect our local residents, businesses and visitors,” he wrote. Dudley said the council had “invested heavily” in support services for vulnerable people, including those who are homeless, citing several measures including an emergency shelter open every night of the year. But he said that an outreach programme sparked by recent cold winter weather had revealed that many of those begging “are not in fact homeless, and if they are homeless they are choosing to reject all support services to beg on the streets of Windsor”. “This is creating a concerning and hostile atmosphere for our residents and the seven million tourists who come to Windsor each year,” he continued. The letter was dated 2 January and addressed to Anthony Stansfeld, the police and crime commissioner for Thames Valley Police. Harry, 33, announced his engagement to the 36-year-old Markle in November. Email “Begging clampdown urged ahead of royal wedding”. Feedback on “Begging clampdown urged ahead of royal wedding”.